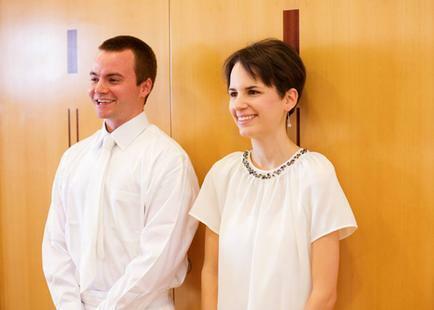 This article isn't about me, or even about Kereki Noémi, a new Hungarian convert. It's about you. Your unique personality and experiences are exactly the inspiration someone needs. Whatever your talents or trials, our Heavenly Father can make use of your voice. I'm a quiet person. My little blog doesn't have a big list of followers and I use the basic white template. Again and again, I've considered making my site private — who wants to read about my life anyway? Still, my ramblings about my children and faith intrigued 22-year-old Kereki Noémi (Hungarians state their family name first) when she stumbled across my blog early last year. A native of Budapest, Hungary, Noémi delighted in our large family and silly antics. She also related to my sorrows. Some of the heartrending experiences I'd been most hesitant to share connected her heart to mine.